Priyanka & Nick Stole The Show At Ralph Lauren’s 50th Anniversary Celebrations! 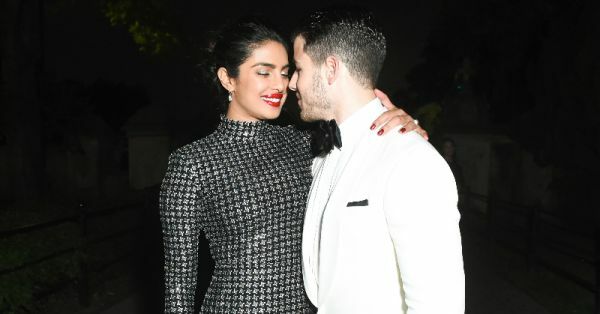 Ever since Priyanka and Nick got engaged, we have been swooning over these two lovebirds. They’ve been enjoying their courtship period to the fullest, and so have we, with all the dates and vacations. And they have always managed to look their dashing best on all of these outings. Be it a casual lunch date or a high profile celebrity event, Priyanka and Nick are always dressed to kill. On 7 September, they attended Ralph Lauren's 50th Anniversary show at New York Fashion Week. Ralph Lauren commemorated its anniversary with a historic event set against the spectacular backdrop of Bethesda Terrace in Central Park, New York. But that is not the only good news. Ralph Lauren is launching two stores in Delhi this year - one at DLF Emporio in September and the other one at The Chanakya, sometime later this year. That's amazing, right? Dressed in a black floor length evening gown embellished from head to toe, PeeCee literally took our breath away. 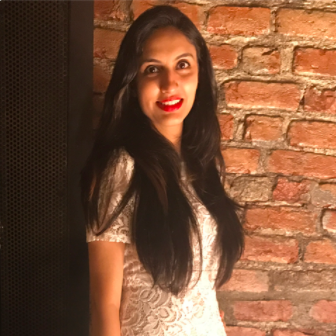 Our desi girl can rock any outfit with so much elan. And Nick wasn’t far behind either, walking hand-in-hand with his ladylove, looking dapper in a classic black-and-white suit. They complemented each other perfectly! Their smiles say it all, don't they?! Nick and PeeCee are very happy with each other and it warms our hearts. For the uninitiated, Nick and Priyanka got engaged in a small and private ceremony in Mumbai on 26 August. Although nothing has been said about either the couple or their families about their wedding date, we hope it gets finalized soon because this will be one grand celebration to look forward to. For more deets on your favourite celeb couples, stay tuned with us!